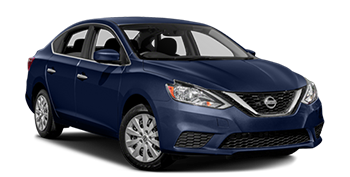 Shop the new Nissan Altima with its roomy cabin and high-tech Nissan Intelligent Mobility features. Explore the many trim levels of the innovative Nissan Sentra and explore its Apple CarPlay connectivity. The new Rogue is a new way to say hello to your favorite compact sport utility vehicle, so stop by. 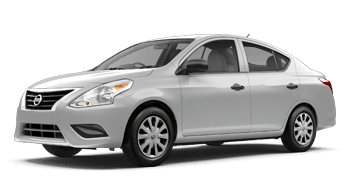 The Versa vehicle features Nissan's latest connective and safety features, so stop by and test drive it. Classic Nissan of Texoma invites drivers of Bonham and Sherman over to our new and used Nissan dealership. If you're looking to enjoy a new Nissan vehicle or are looking for quality service, this is the place to visit. It is our pleasure to ensure that our sales and services meet your on-road needs. We look forward to offering a speedy, professional car buying experience to each driver who visits us. Whether you're interested in new Nissan cars and SUVs or are looking to order genuine parts in Denison, Texas, we will gladly assist you with your automotive needs. Drivers can explore the Nissan lineup from their smartphones thanks to our user-friendly site. 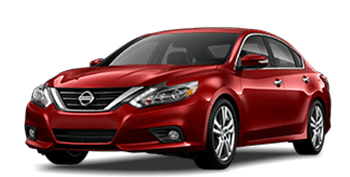 You can learn about the various new Nissan Altima trims that are available, and when you're finished, apply for financing in a few simple steps. The features that come on a powerful new Rogue can wow you in person as you drive away with your new lease! Our Nissan team is up-to-date on all of the Nissan incentives out there, making it easy for us to provide drivers with a diverse set of financing solutions in Denison, Texas. Lastly, we offer professional automotive maintenance and repairs. When the time comes for your routine oil change and filter replacement, you'll know who to call. The search for an all-new Nissan car, truck, or SUV ends here. The experts at our new and used dealership know all about our range of new Nissan cars for sale. Each one of our models is competitively priced and ready to be test driven, so make your way over! Explore our vehicles online or in person by visiting from Sherman, Texas. Be sure to ask us about our current new Nissan lease offers and incentives as well! Drivers with less-than-perfect credit scores need quick lending solutions. Luckily our finance department has plenty of opportunity for such a need. Drivers in Denison, Texas with less than perfect credit scorescan most certainly access our auto loans! Everyone deserves access to secure financing, so send over an online credit application to Classic Nissan of Texoma and learn more about our options. Whether it's an at-home service or genuine parts, the experts at our parts department have the components you need. We invite all drivers from Durant, OK to explore our innovative selection of genuine parts for sale. Drivers who need access to genuine parts with genuine prices will be happy to know that they can easily access them by placing an online parts order. If you have any questions about our parts department, contact our team. Whether you're looking to enjoy that like-new car smell of a Certified Pre-Owned vehicle with a rigorous inspection or quality used cars, you'll find what you need here. Talk to our used vehicle staff about your budget and lifestyle, and we will find you a pre-owned Nissan that works! We are known for our dedication to the Nissan brand, and things do not change once you land in our pre-owned sector. Call now, and be sure to ask about our used vehicle options before they all disappear! Our ASE certified master techs can assist with all things Nissan. Whether you need routine maintenance requests or a more complicated service request, the experts from our service department will be there for you. Hop on your smartphone or computer and schedule a Nissan service today! We have tons of service and parts specials to look over as well, so don't forget to look over those before book service. Thanks to the convenience of our service options and prices, you never have to skip that oil change again. We live in the digital age, so why not take advantage of it? The car buying process has been streamlined so that it is easy, from start to finish. 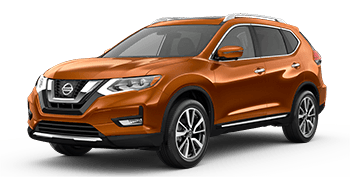 You can browse the latest Nissan vehicles, value your trade-in, and check out new vehicle specials––all from online. We invite you to contact our dealership online now and get started on your Nissan journey today. If any questions arise, we are only a click or a phone call away. Conveniently Located 34 Minutes From Bonham & 12 Minutes From Sherman, Texas!